Looking for a single-point supplier of uniforms for your school? Your search has brought you to the right place. UNIPRO is one of the premier school uniform suppliers in Bangalore. We produce and distribute a broad range of uniforms of all styles, sizes and colours customized as per your specifications and requirements. We are one of the top school uniform manufacturers in Bangalore and have designed and delivered high-quality uniforms to some of the best schools in the city over the last 25 years. We have a dedicated account manager who will manage all communication with your school. From helping you choose the right fabric to coordinating with the production team to get your design in place, our account managers will handle everything. we take care of everything from taking the required measurements to delivering the finished uniforms to your school. We have been one of the best school uniform manufacturers in Bangalore for so many years as we are focussed on delivering high-quality uniforms within the stipulated delivery times. Our fabric experts help our clients choose from wrinkle free, microbial free, stain-resistant, moisture absorbent, non-iron or other types of fabrics depending on their specific requirements. We strongly believe that a professionally designed uniform can make your students look smart and feel confident. It is this level of detailed work that makes us one of the leading uniform manufacturers in Bangalore. 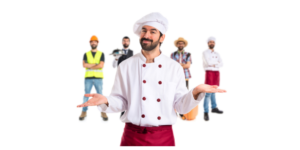 Why you should order for uniforms at UNIPRO? 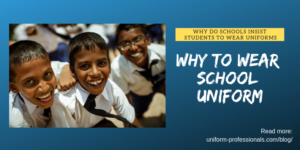 Apart from the fact that we are the leading uniform suppliers in Bangalore, the other reasons why you should order for school uniforms online at UNIPRO is our customized services and focus on quality. 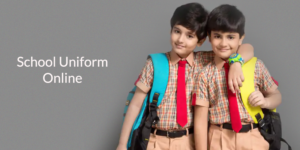 How to order for school uniforms online at UNIPRO in Bangalore? Ordering for uniform online at UNIPRO is as simple as sending a mail or filling a form. You just need to fill in the message form on our website and we will get back to you. On the other hand, you could mail us at rohit@uniform-professionals.com and we will immediately get back to you with the requisite details. Apart from Bangalore, UNIRPO also delivers readymade school uniforms in Hyderabad and other cities across the country. So, if you want to buy uniforms in bulk and at wholesale rates, contact us right away.